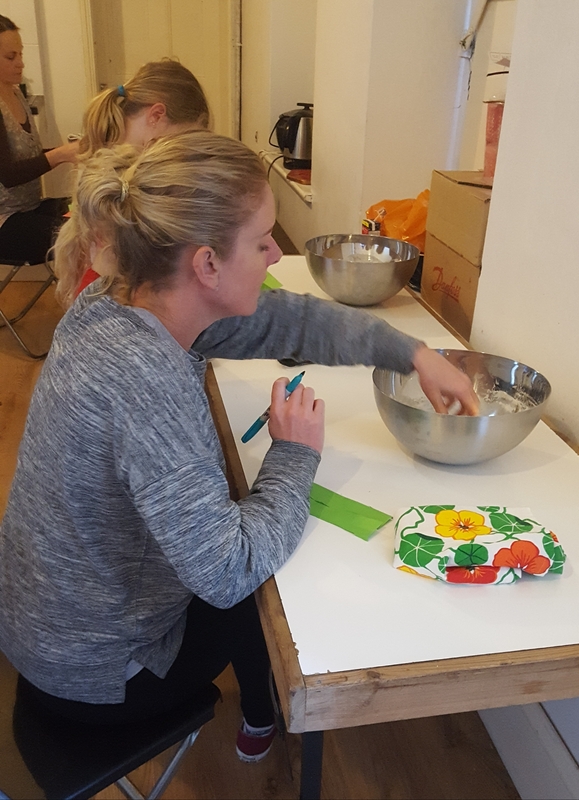 We are beginning to prove conclusively that baking bread, at least in part by hand, has a positive impact on mental health. Without scientific evidence, we at the global HQ of Virtuous Bread, the Bread Angels, and the thousands of people we have taught to bake bread over the years can give anecdotal evidence to prove the same point. Baking bread is calming, and floods people with feelings of well being. We are not sure if these come from the sense of achievement that accompanies a finished loaf, a feeling of being more "in control" as a result of having made something to eat from scratch, the "mind/body" connection that happens during the time bread is kneaded and dough is handled, or if these come from something else altogether. We do know - and are beginning to be able to prove - that baking bread is good for you. 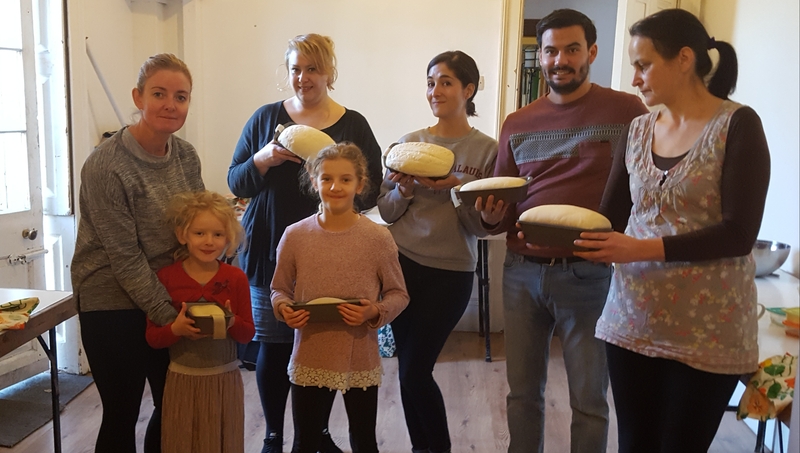 For years, one of our first four Bread Angels, Alison Skeat, has been running Breaditation classes - classes that combine her interest in meditation, mindfulness, and positivity, and her passion for baking bread. 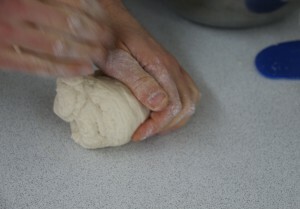 In these classes students knead the dough for 20 minutes (that's 10 minutes longer than you do it in my classes!) and while they knead (in silence) they are encouraged to meditate on why they have come. Are they angry? Are they sad? Are the frustrated? Do they just need to relax a bit and remember to enjoy life? For 20 minutes they knead (stretch, gather, repeat) and pour the contents of their mind into their dough until there is nothing left except the desire to knead (stretch, gather, repeat). At that point, the sub conscious has taken over. Alison is not a therapist and has no requirement for her students to talk about where their thoughts were going during the process of kneading. Instead, as the dough rises and they drink cups of tea, they talk about bread and life and whatever else comes to mind. Once the dough is shaped, students take the time to write down what they thought about while they were kneading - specifically, what they want to get rid of. Those scraps of paper are put into their now empty dough bowls and set alight - gone up in a puff of smoke. Burn it and let it go! 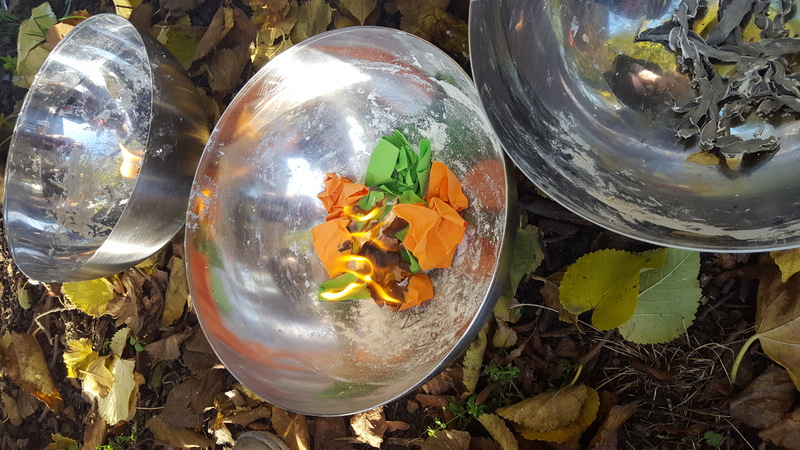 In the end, students have a beautiful loaf of bread, a recipe, and information on where they can access mental health support should they wish to. They report feeling lighter, feeling a sense of achievement and well being, and feeling a sense of quiet joy. Click here to contact Alison and book your Breaditation session today.